Retinol is a godsend for turning back the clock. But it&apos;s also notorious for causing dryness, redness and peeling—often to the point that people abandon the ingredient altogether! If this has happened to you, listen up. 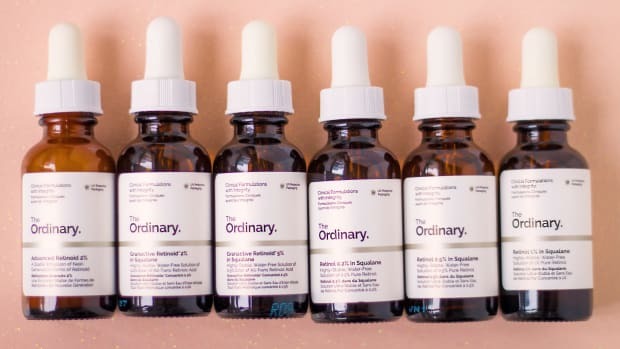 There&apos;s a NEW retinoid in town, specifically MADE for sensitive skin. And it&apos;s your best bet for getting some of the anti-aging and anti-acne benefits of topical vitamin A, without the irritating side effects. My thoughts after testing both for several months! If you haven&apos;t heard of Shani Darden, she&apos;s the go-to esthetician for some of the most famous faces in Hollywood. Her celebrity clients include Jessica Alba, Rosie Huntington-Whiteley, January Jones and Emily Ratajkowski, to name just a few—and when have their complexions looked anything less than flawless?! 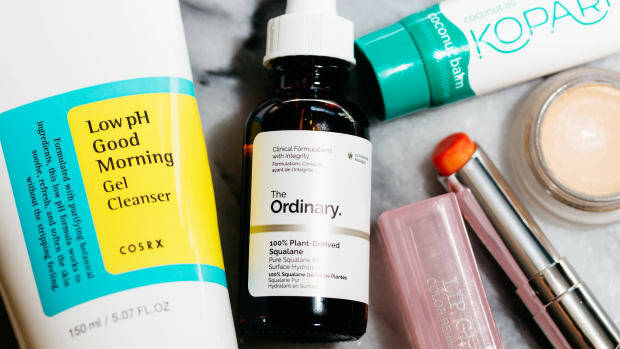 As far as ingredients go, Shani is a huge proponent of retinol, and thinks "everyone should be on [it] if they can handle it." That&apos;s why she launched Retinol Reform, "a strong retinol with a moisturizing base." See my review here—I started using it about two years ago, and got fantastic results. To this day, I still think it&apos;s one of the best retinoids on the market (and one of the only silicone-free options!). However, I&apos;ve been told by a few people that they find Retinol Reform too strong or too irritating, or that they&apos;re nervous to try it because they&apos;ve never used retinoids before. So when I heard that Shani had created a gentler version of her first retinol product, I knew had to test out Texture Reform and report back here! Shani Darden Texture Reform was specifically formulated for sensitive skin. 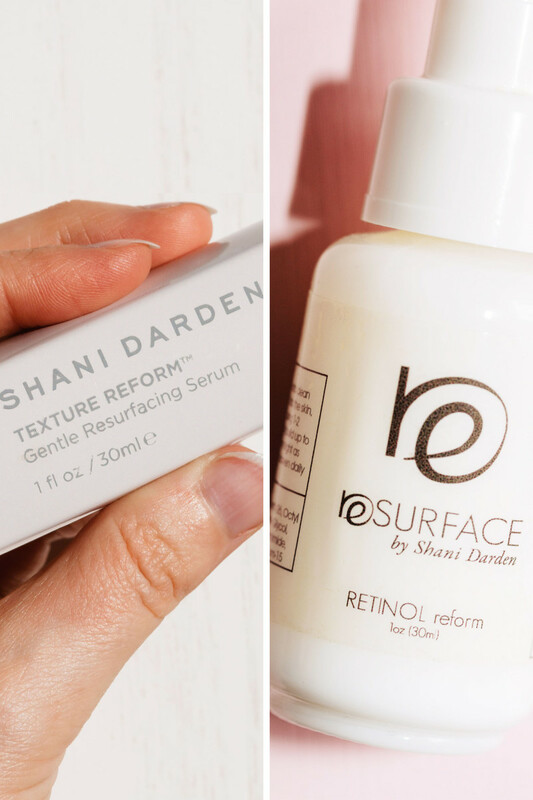 "I created Texture Reform Gentle Resurfacing Serum for my sensitive clients who wanted to get all the skin renewing benefits of Retinol Reform in an even gentler form," says Shani. "They get the same results without irritating their delicate skin." The Shani Darden Texture Reform ingredients list. Aqua (Water/Eau), Aloe Barbadensis Leaf Juice, Lactic Acid, Retinyl Palmitate, Hydroxyethyl Acrylate/Sodium Acryloydimethyl Taurate Copolymer, Isohexadecane, Potassium Hydroxide, Propylene Glycol, Niacinamide, Coffea Arabica (Coffee) Fruit Extract, Phenethyl Alcohol. Let&apos;s take a closer look at the key ingredients. Retinyl palmitate: This is a retinol ester—the mildest type of vitamin A derivative, which must undergo three conversion steps to become retinoic acid (the active form of vitamin A that can be used by our skin). Although we don&apos;t know how much is in this product, retinyl palmitate has been shown to improve photodamage and thicken the skin in higher concentrations. It also has antioxidant properties. Lactic acid: This is a gentle alpha-hydroxy acid. It exfoliates (therefore helping the retinoid to penetrate better) and has mild antibacterial properties. So it&apos;s improving skin texture and may prevent acne. Niacinamide: Also known as vitamin B3, niacinamide helps shrink pores, reduce wrinkles and even out skin tone. It actually has so many benefits—read all about them here! Coffee extract: This is an antioxidant that helps prevent and repair sun damage. Aloe vera: The juice from the aloe plant provides soothing and hydrating benefits, without clogging pores. 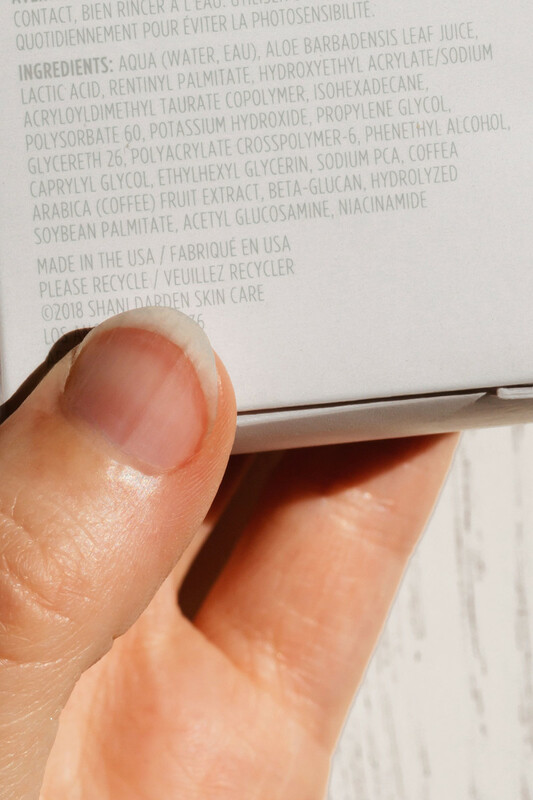 Unlike Retinol Reform, this product contains no quaternium-15—a preservative that is linked to contact dermatitis. Instead, Texture Reform is preserved with phenethyl alcohol. All preservatives do have the potential to irritate, but it&apos;s less likely in low doses, and this one does have a better safety profile. This formula is also fragrance-free and silicone-free. 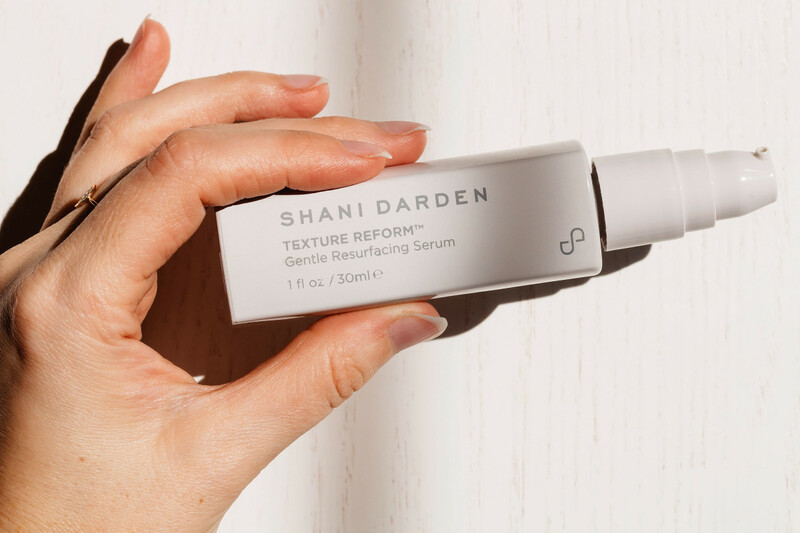 Shani Darden Texture Reform is a light serum. Texture Reform has a lightweight serum texture, like a thin cream-gel. It takes about a minute or two for it to completely absorb. Only use Texture Reform in the evening, after cleansing and toning. Over dry skin, smooth one or two pumps of Texture Reform and allow it to absorb (about one or two minutes). Although it&apos;s unlikely, if you do start getting irritation, just hold the dose at as often as your skin can handle. 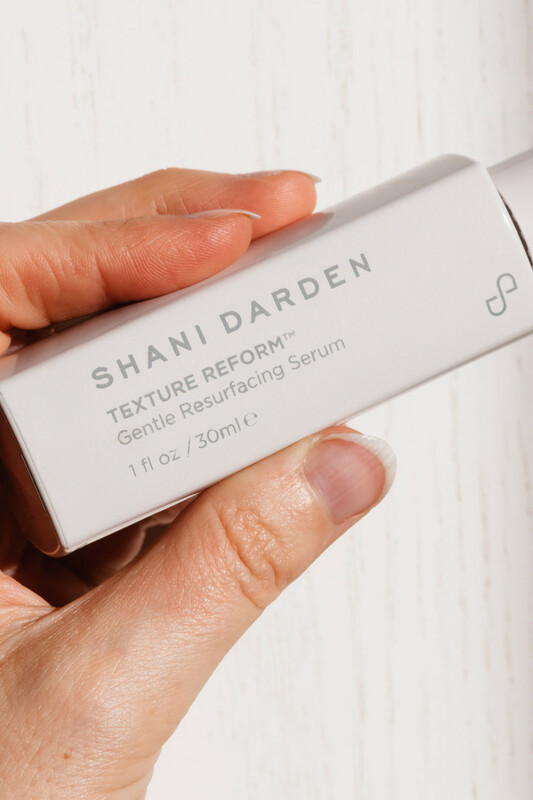 Shani Darden Texture Reform contains a gentler active ingredient than Retinol Reform. 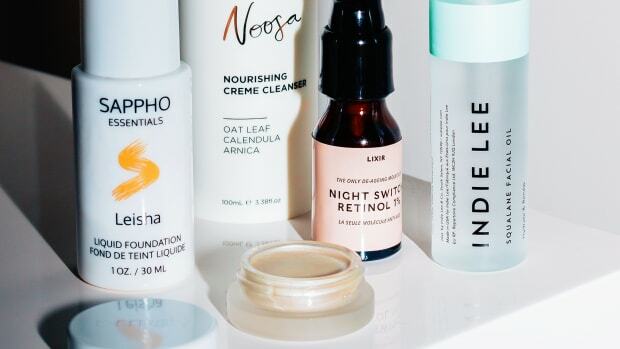 Alright, how do Texture Reform and Retinol Reform compare? I&apos;ve gone through a bottle of each one now, with a several-month break in between, so it was a TRUE test. Personally, I got the best results from Retinol Reform, the stronger product. Results that had strangers commenting that my skin was "glowing"—I kid you not! It makes sense, because Retinol Reform contains retinyl propionate, in a high five percent concentration. Retinyl propionate is considered the most effective retinol ester, and even in much lower doses, has been shown to reduce wrinkles and pigmentation. I definitely found my skin looked more radiant and even; it also helped prevent breakouts. My results weren&apos;t as dramatic with Texture Reform, but I did still see some improvement during the time I was using it. It was the fall, so I&apos;d just come from having a lot of sun exposure. Along with daily acids, I think Texture Reform assisted in diminishing my usual summer pigmentation. I think it kept a few blemishes at bay, and overall just helped my skin to look nice and fresh. 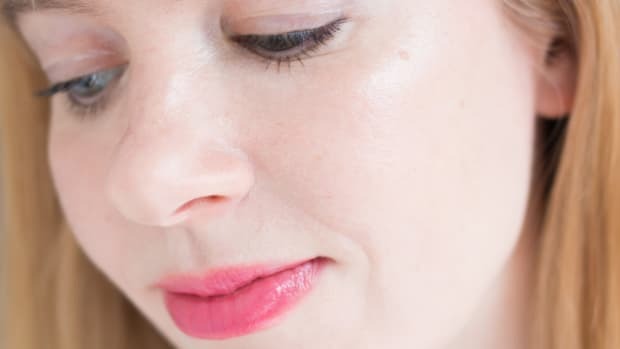 I didn&apos;t experience any flaking or peeling with either product, but I did have trouble using Retinol Reform near my eyes—it made that area a little irritated, red and crepey. Whether that was due to the active ingredient or the preservative, I don&apos;t know, but I didn&apos;t have that problem with Texture Reform at all. 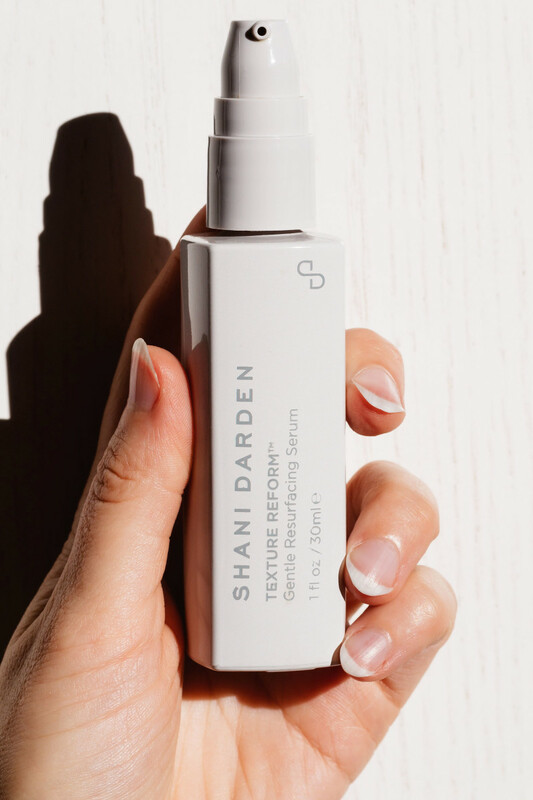 Shani Darden Texture Reform is ideal for sensitive skin and beginners. Now for the question I know you&apos;re wondering about. Which one is better: Texture Reform or Retinol Reform? Although it can be used on all skin types, Texture Reform is an excellent retinol for sensitive skin. I would say go for this product if you KNOW your skin is reactive, or you&apos;ve had problems tolerating other over-the-counter retinols before. It&apos;s also a good one to start with if you are completely new to retinoids and aren&apos;t sure how your skin will respond. If you don&apos;t have sensitive skin, or you&apos;ve successfully used other retinols before, I&apos;d probably dive right into Retinol Reform. You may need to go slower with it initially, but it&apos;s going to give you the most bang for your buck in terms of results. If you&apos;ve tried either product, I&apos;d love to hear about your experience! Have you tried Texture Reform?